This spring break, make it memorable! Visit the key sights of both the North and South and let your child fall in love with their homeland, while seeing sights and experiencing everyday life. 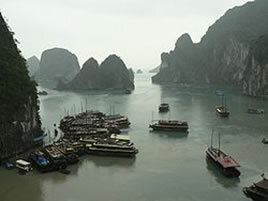 Hear the ancient legends of Halong Bay as you stay overnight on a luxury junk and learn tai chi on board. Experience the Vietnam countryside, visit a school, spend time at a fishing village, visit a brick kiln and floating market, order a traditional Ao Dai while there. There is much to experience for kids and adults alike. This is a “hands on” trip that is sure to engage and delight. Email louie@lotustours.net to get started or with any questions. Upon arrival at Noi Bai airport you will receive a warm welcome from our tour guide and be escorted to your hotel. Enjoy the initial sights of Hanoi, which is a peaceful city of lakes, shaded boulevards, verdant parks and grand French colonial architecture while you adjust to the new time zone. 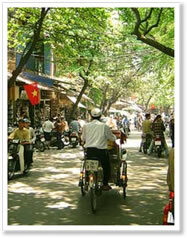 In the late afternoon, you will have a cycling tour through Hanoi Old Quarter followed by a welcome dinner at a famous local buffet, the Sen Restaurant. 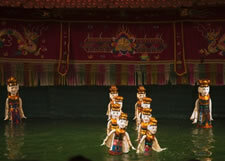 This morning, depart Hanoi for a trip to Halong with a scenic drive through the Red River delta. Enjoy spectacular views of the Vietnamese countryside en route. Upon arrival at Tuan Chau Marina Pier, you'll be tendered out to the Gray Line Halong Bay cruise ship where you'll be greeted with a welcome drink and check-in to your suite. As we depart to our first stop, a fresh seafood lunch will be served onboard. Upon arrival at Vung Vieng fishing village, it's up to you to decide to explore the side streets in a relaxing bamboo rowboat where your guides do the work or make your own way in a sea kayak. We'll explore a neighborhood of floating structures home to 65 families, a floating school and a floating information centre. You'll leave with memories to last a lifetime! Continuing our cruise, we arrive at iconic Drum Cave, the perfect place to enjoy swimming alongside the ship or sunbathing on deck. A spring roll cooking class will be held on the sun deck for the gastronomically inclined. Embraced by 360 degrees of jaw-dropping views, make sure you have your camera ready. As the sun dips lower in the sky, prepare to see the sky lit ablaze like nowhere else on the planet. As the landscape melts from orange to red to blue, the stars come out to play and the party begins! Dine on deck, beneath the magical night sky of Halong Bay, enjoying a spread of fresh grilled seafood and traditional Vietnamese dishes. After dinner, take part in festivities including karaoke singing, squid fishing, movies, card games, music and other fun activities. When you’ve had enough, retire to your suite to relax and enjoy moonlit scenes of Halong Bay. n deck for the exquisite experience of watching the sunrise at sea – make sure to have your camera handy! Allow your guide to lead you through a gentle Tai Chi class. Relaxing stretches and exercises will fill you with energy for the day. Even late risers should consider going against the flow to have this experience, if only this once. A light breakfast will be served onboard including coffee, tea and baked goods. Arriving at our first stop, a tender will take you to visit amazing Sung Sot Cave, discovered by the French in 1901 and open to the public since 1936. This stunning site is surely one of the most impressive geological treasures of Halong Bay. As we continue our cruise, take a moment to reflect and absorb the memories of the past two days. Enjoy magnificent scenery and a farewell buffet brunch on our cruise back to the pier. Disembark at Tuan Chau Marina, enjoying the beautiful countryside once again as you travel back to Hanoi. Transfer to Noi Bai airport in the late afternoon for a flight to Ho Chi Minh City. You will be greeted warmly by a local guide at the airport and be escorted to your hotel to settle in and relax. 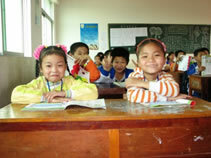 After breakfast, meet your guide at the hotel lobby and then enjoy a visit to a local elementary school to get a first hand glimpse of the education system in Vietnam. Enjoy lunch at a local restaurant. In the afternoon, you can visit the Dam Sen Water Park where kids play and all can cool off in the heat of the day and have some relaxing fun in the water. This might be a good day to order a traditional Ao Dai (pronounced Ow Zai) or shop at Cho Ben Thanh Market. You will be free until your guide and driver pick you up for the dinner excursion on the boat along Ho Chi Minh City River. Today take a scenic drive to Vinh Long, where you will get on a sampan for a small cruise and enjoy this beautiful area of the Mekong Delta. Next your family will visit a brick kiln and a floating market, a truly fascinating experience. Follow this with a visit to the well-known Mr. Sau Giao's bonsai garden, where you will be treated to lunch. 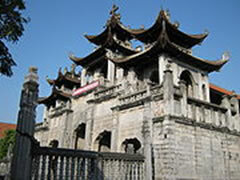 Then take a short sightseeing bike ride tour of Vinh Long. This will include seeing the Ngoc Vien Pagoda, as well as visiting local people's houses, and a stop at the historic Vinh Long church. Then rest while you are driven to Can Tho (around 3.5 hours) where you will check in to the hotel. Enjoy breakfast at hotel and have day free time to relax at the swimming pool or shop at Dong Khoi Avenue as you prepare to create and capture last memories before departing for home. Or plan this day as your special family exploration, as you wish.